Click on the constellation map above and the two images below to enlarge them. Four neighboring Southern Hemisphere constellations — GRUS the Crane, PHOENIX the Phoenix, PISCIS AUSTRINUS the Southern Fish, and SCULPTOR the Sculptor — appear quite unremarkable compared to brighter, well-known constellations such as Crux. However, these constellations do at least contain a plethora of galactic wonders. Most of the identified deep-sky objects in this region are galaxies. Some constellation maps do not show any galaxies for Phoenix. 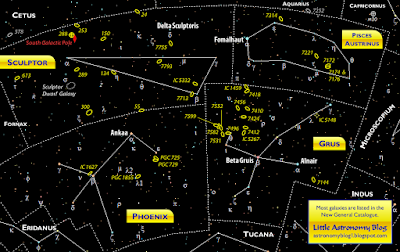 Unlike the Little Astronomy Blog map above, these maps neglect to show that there are some recently discovered galaxies classified in the Principal Galaxies Catalog (PGC); these elusive galaxies are farther away than galaxies in the other three constellations. While Grus, Phoenix, Piscis Austrinus, and Sculptor are said to be Southern Hemisphere constellations, they are immediately south of Cetus and the Zodiac constellations Aquarius and Capricornus. Therefore, Northern Hemisphere stargazers might see them near the horizon, especially in the southern sky during the late summer and fall seasons. Galaxies, Globular Star Cluster, Galaxies, and More Galaxies! 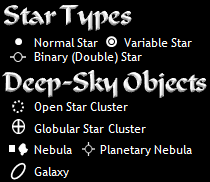 As mentioned above, these four constellations have plenty of galaxies. However, there are very few nebulae and star clusters. Piscis Austrinus' NGC 288 is arguably the most remarkable globular star cluster in the area. 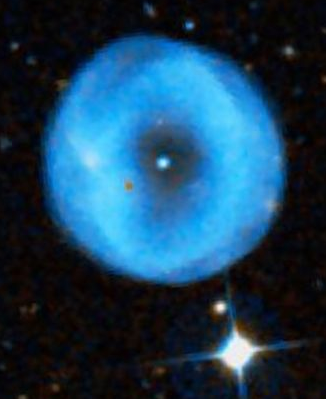 Shown in the photo to the left from Sky-Map.org's interactive map, IC 5148 (colloquially known as "Spare Tire Nebula") is a doughnut-like planetary nebula located near the Lambda (λ) Gruis star. Other than these wonders, galaxies take the crown! Remarkable examples include the Sculptor Dwarf Galaxy, NGC 300, NGC 613 in Sculptor (pictured above), NGC 7599 in Grus, IC 1627 in Phoenix, and NGC 7174 and 7314 in Piscis Austrinus.